A gorgeous pair of Dachshund stud earrings. 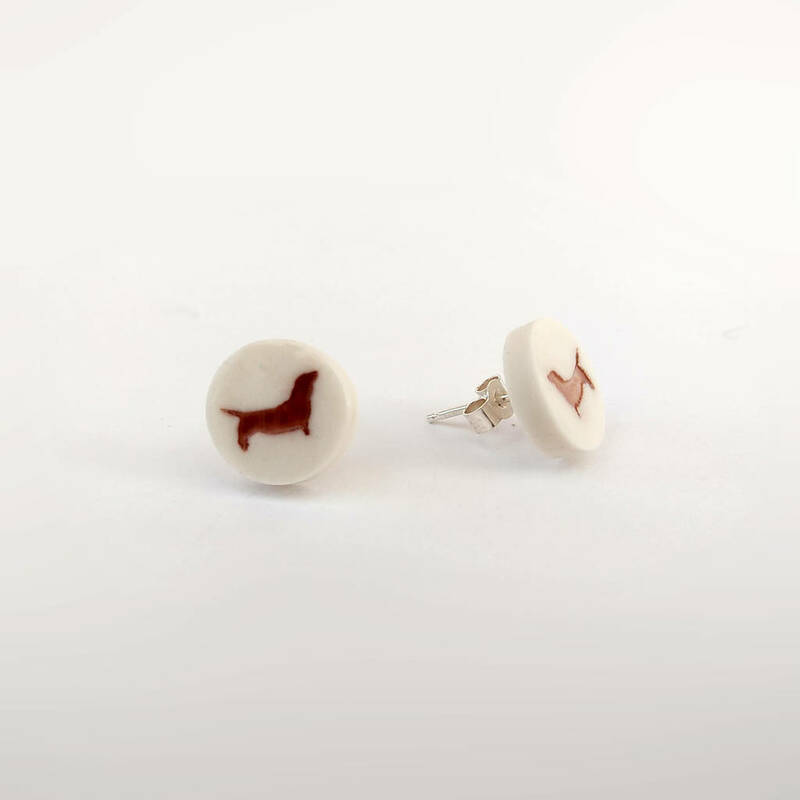 These earrings make a lovely Sausage Dog gift idea for her, perfect for any Dachshund lover! These little dachsund earrings are handmade in Cornwall and make a lovely gift for any Dachshund or sausage dog lover! These stud earrings feature a brown dachshund design. Handmade in porcelain clay, the sausage dog silhouette is pressed into the clay. Once kiln fired it is glazed and refired. The little discs are then applied to sterling silver earring posts. The earrings are provided in a little handmade gift box. This product is dispatched to you by Melissa Choroszewska Ceramics.